Every child dreams of having a tree house in their back yard. I have seen some pretty spectacular ones here in North Vancouver, but none compare to the one that is for sale just south of the border in the state of Washington. 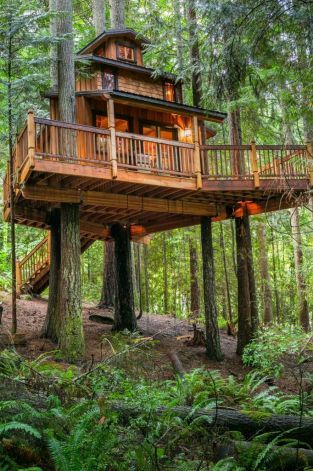 Just because we grow up does not mean we cannot still wish for the perfect tree house. Check out the link below to read the details and see the photo gallery.